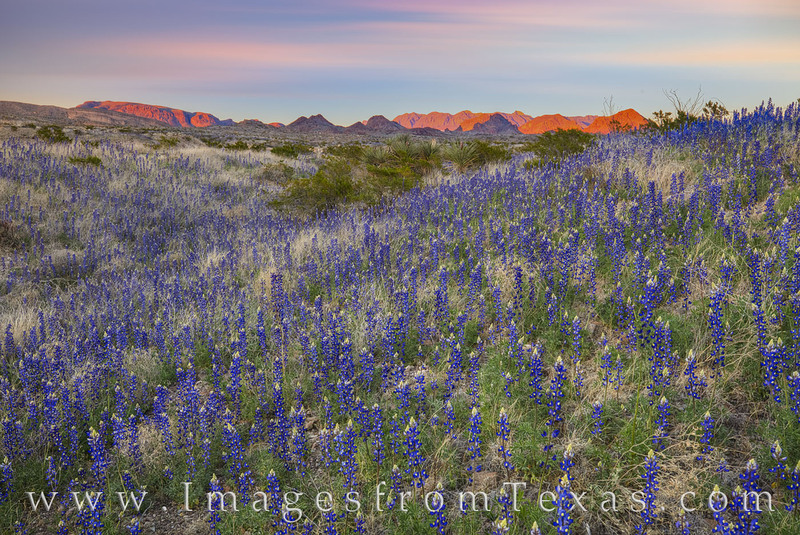 With the distant peaks of the Chisos Mountains glowing in the warm light of sunset, the foreground is awash in bluebonnets. These Texas wildflowers seemed to spill and tumble down the shallow slopes and into the valleys on this cool February evening. Photo © copyright by Rob Greebon.